Fred VanVleet: 6th Man of the Year? Since we’re nearing the end of the regular season, it’s time to start looking at who could win some of the annual awards in the NBA. We always hear about the MVP and the Rookie of the Year, but one of the less recognized awards in the league is the 6th Man of the Year award. The definition of the award is “the league's best performing player for his team coming off the bench as a substitute (or sixth man)." 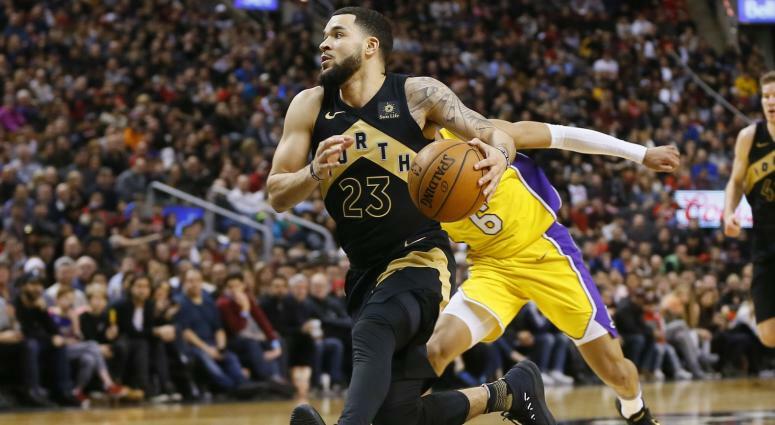 The last 6th Man of the year candidate is Fred VanVleet of the Raptors. Fred might also be in the conversation for Most Improved Player, but for now, I’ll focus on him as a 6th Man. VanVleet is averaging 8.5 point per game, while shooting 40% from 3 and dishing out 3 assists per game. The obstacle I see for VanVleet winning this award is that he’s a part of the best bench unit in the NBA. It might be hard for voters to give all of the credit to VanVleet, since he’s playing with 4 other tremendous bench players. This is one of my favourite awards in the NBA. I think it’s important to recognize the players that aren’t household names, like Fred VanVleet and Terry Rozier. By putting them in the conversation for this award, you give them the credit that they deserve. My prediction for this year’s winner might upset some Raptors fans. Though I love what VanVleet has done for this team and the bench unit, I don’t think it’s fair to put all of the credit on his shoulders. Players like Jakob Poeltl and Delon Wright deserve credit as well, so I don’t think VanVleet should win this year. Rozier might win it in the future, but I don’t think he will this year, since I just don’t see anything that really stands out from him. As for Lou Williams, he plays 32.8 minutes per game, and his team is 10th in the West, so I just don’t think he’s a good candidate for the award this year. That being said, my pick for the award is Eric Gordon, who, if he wins this year, will be the first back-to-back winner of the award since Detlef Schrempf did in the 1990-91 season and the 91-92 season. I just think Gordon has such a big impact on his team, with the way he shoots the 3 and scored off the bench. He also plays for the team with the best record in the NBA, so that can’t go unnoticed either. All 4 candidates are great players. They all help their teams in a number of ways, but I think right now, the award should go to Eric Gordon.